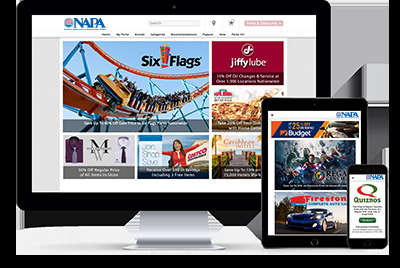 The National Association of Professional Agents provides you with access to an elite collection of local and national discounts from thousands of hotels, restaurants, movie theaters, retailers, florists, car dealers, theme parks, national attractions, concerts, and events. Offers are also available from over 150 national attractions and theme parks including the Walt Disney World® Resort, Universal Studios®, SeaWorld, Cirque du Soleil, and Six Flags! Discount offers are redeemable in-store through printable and mobile coupons, online, and over the phone. Please note: Benefit offerings change on a frequent basis so please log in to the Abenity website to see current availability. Enjoy negotiated discounts as a benefit of your membership. Once you register and log in you’ll have access to more than $4,500 in savings from popular local and national retailers with offers redeemable in-store through printable and mobile coupons, online and by phone.